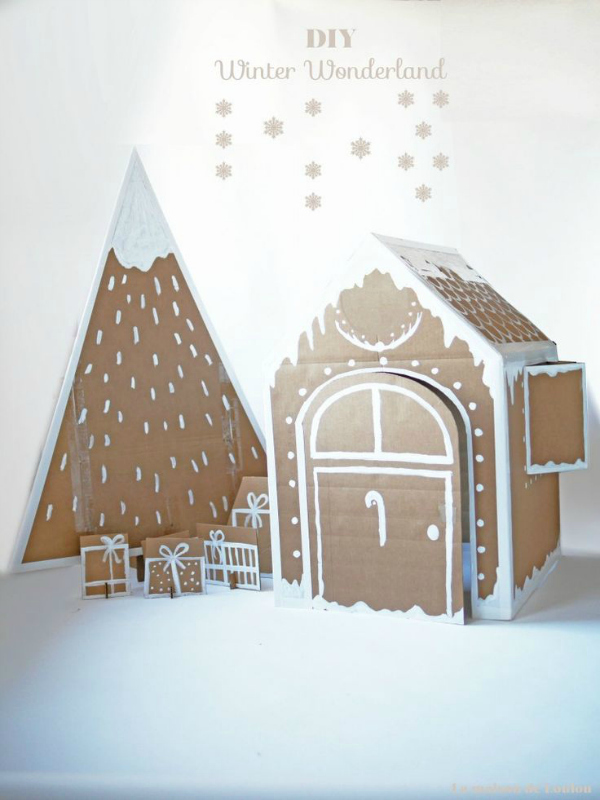 Looking for fun family Christmas activities? 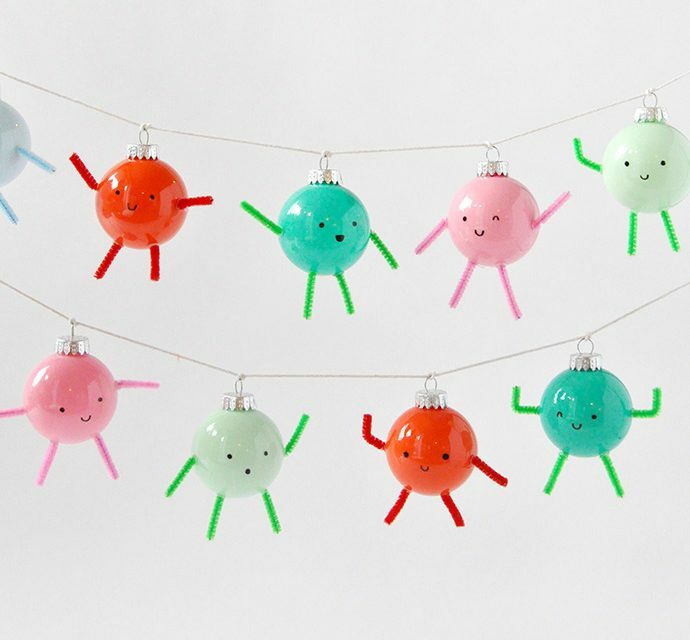 Have a family Christmas decoration party! Christmas time means being creative. 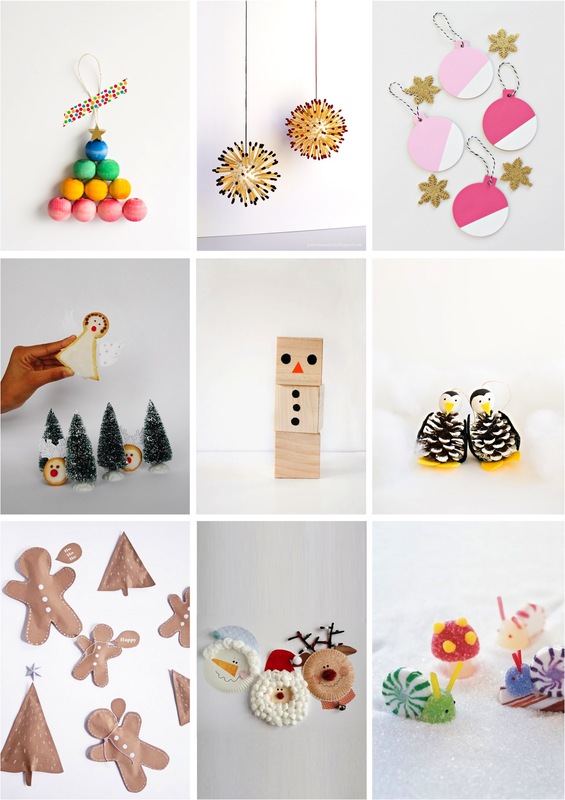 You can find lots of creative crafts and activities for kids to celebrate the Christmas holiday. 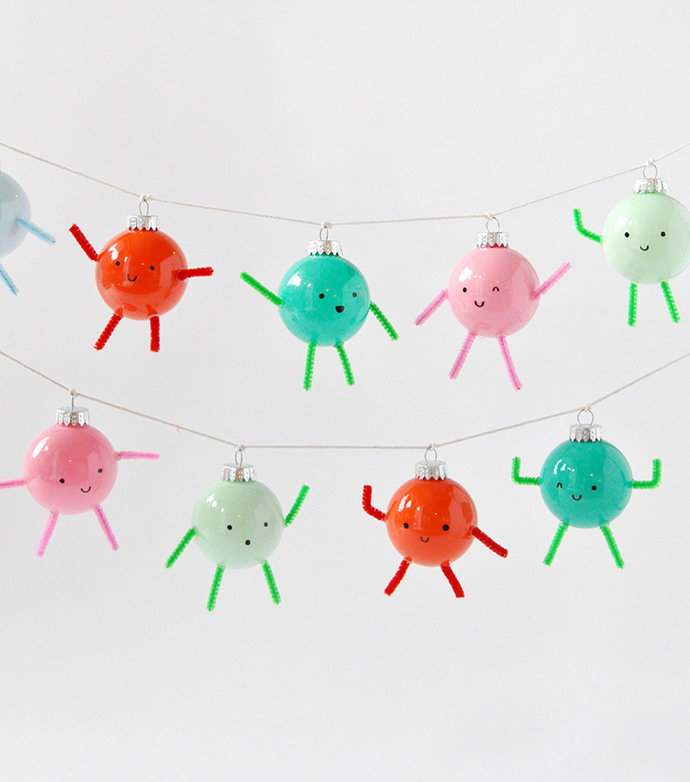 Today, we have selected 5 quick, easy to make DIY projects to make. 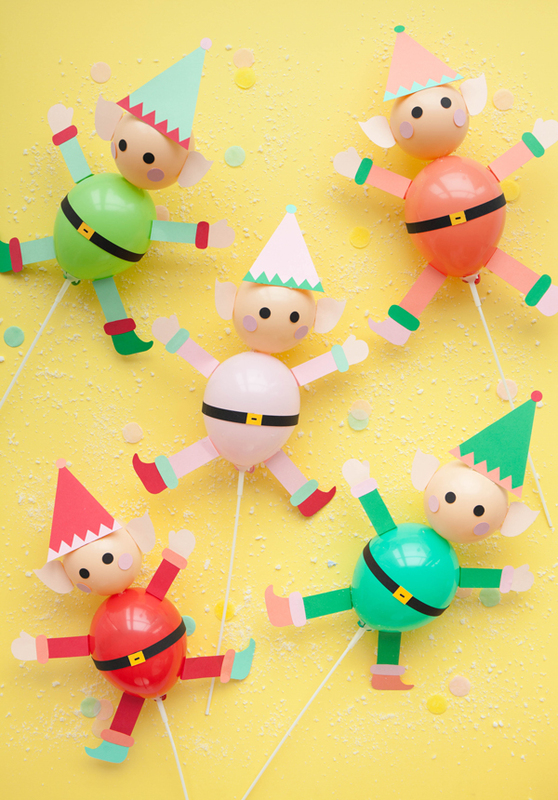 These elf balloon sticks are perfect for a holiday party and kids love them! 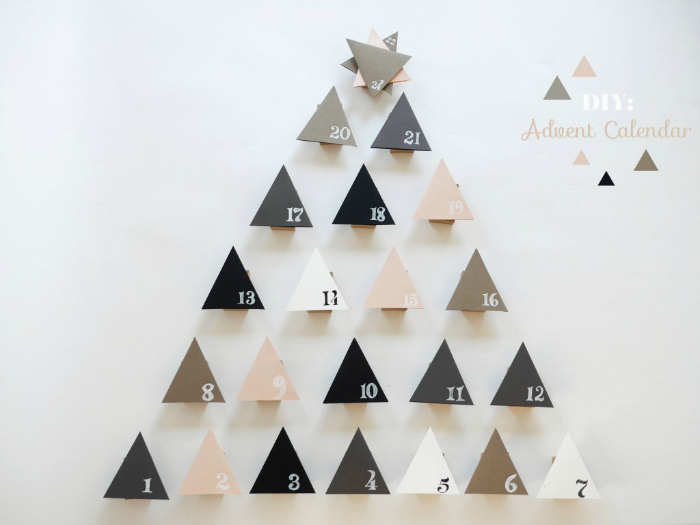 Get the tutorial at Oh Happy Day. 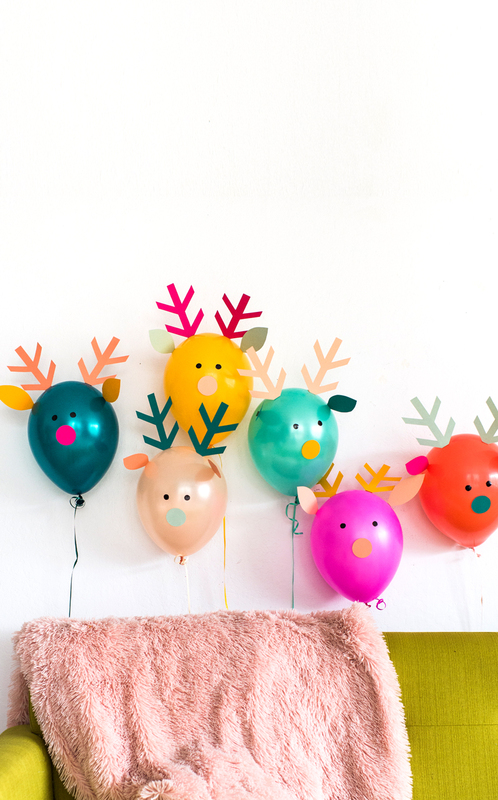 These reindeer party balloons are perfect for a party at work, at home, or at school. Furthermore, they really are easy to make but I am sure they catch the attention of all your guests. Get the tutorial at Subtle Revelry. 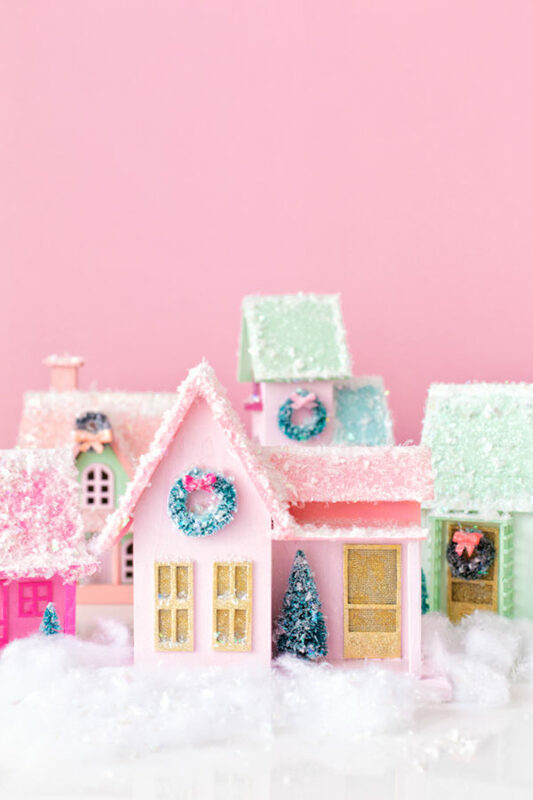 What about creating a colourful Christmas village… It will add a touch of magic to your Christmas decorations. 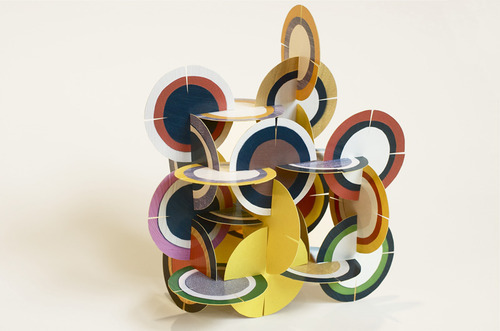 Get the how-to at Studio DIY. 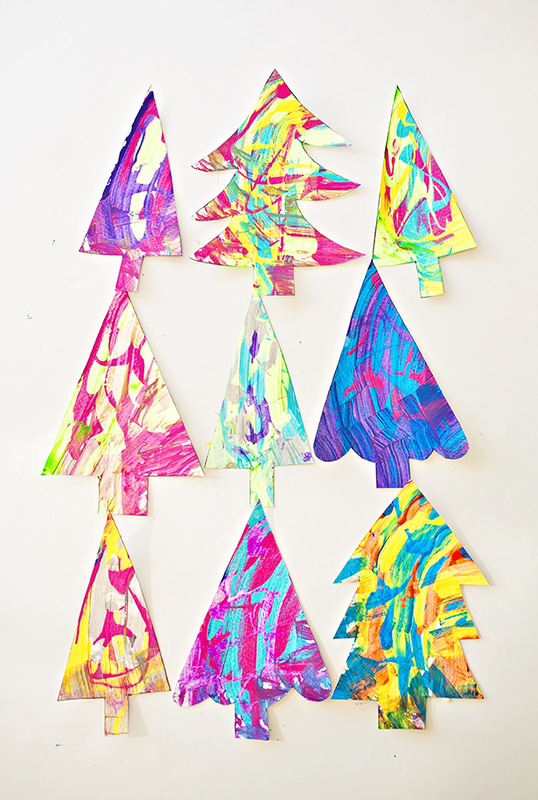 Another option could be creating Christmas trees with the technique of paint scraping. 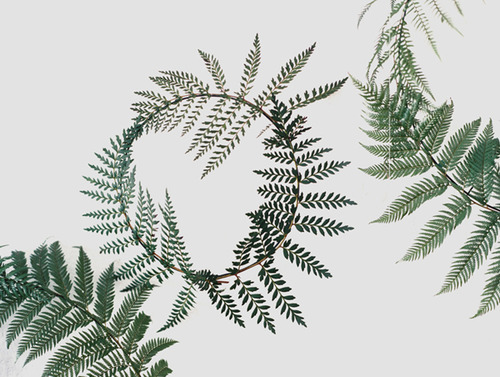 These would make a beautiful school art project or festive holiday decor for your home. Get the tutorial at Hello, Wonderful. 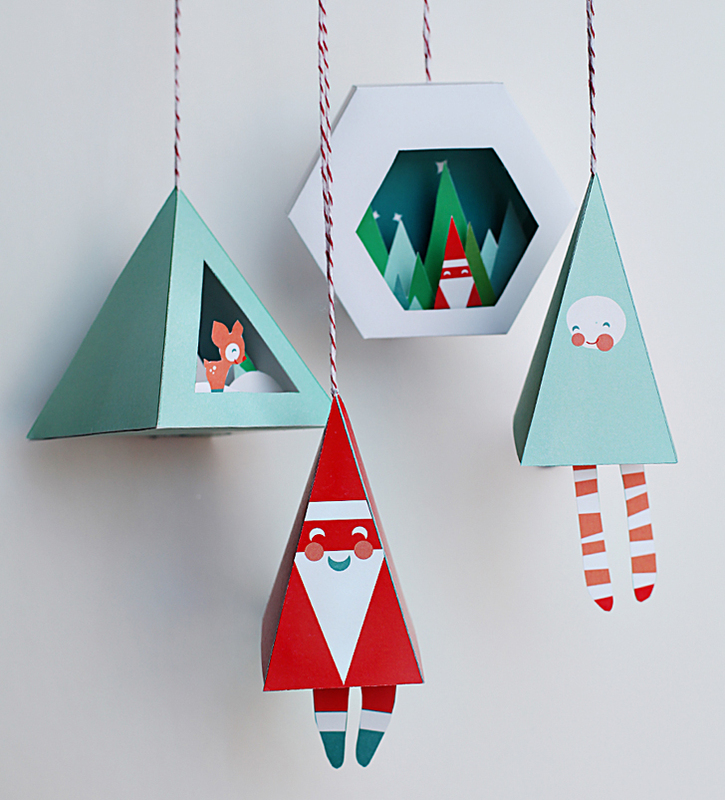 More inspiration for your Christmas crafts here.